Vintage 60s dress with a grey and red plaid print and fringe trim. 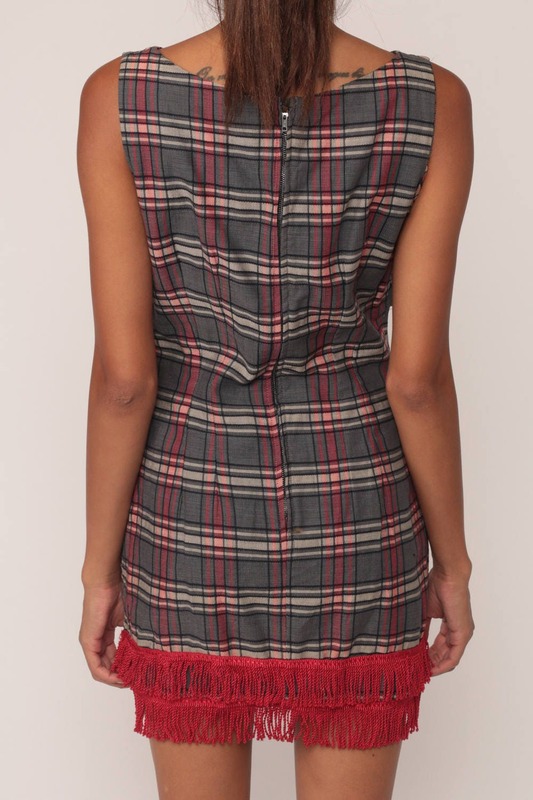 Sleeveless with an empire waist and a sheath cut. Mini length.